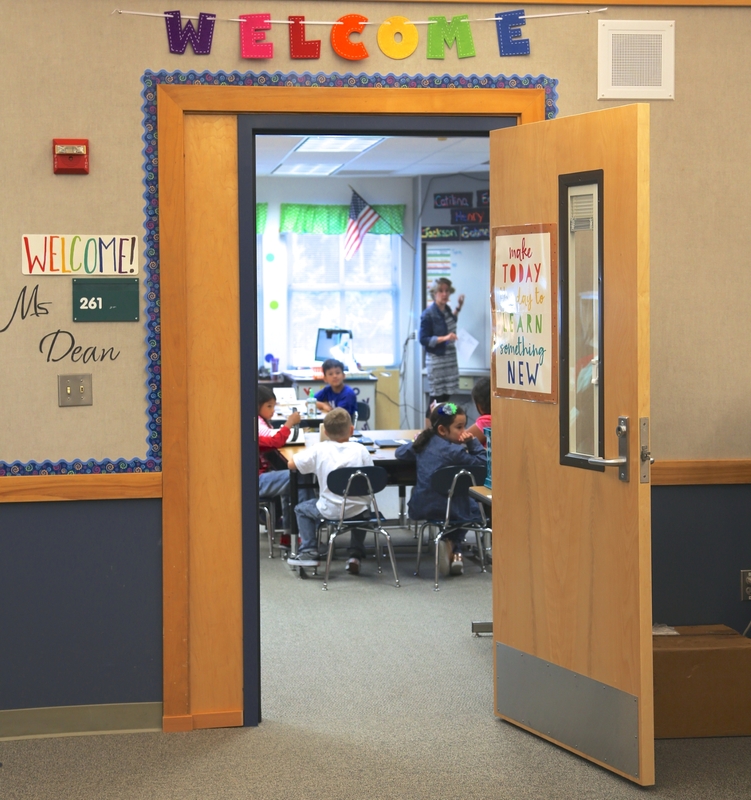 When PineCrest reopened in September, a new safety measure greeted students and staff: classroom doors. “I noticed a huge difference,” said third-grade teacher Debbie Barga just a few weeks into the school year. The most noticeable difference was how quiet classrooms have become. But the safety element is also already apparent. After their first safety drill of the year, one student told Barga how much more secure he felt. Through online surveys and conversations, families and staff told the district that improving safety and security in schools is important to them. Doors at PineCrest are just a part of a broader initiative to improve safety and security at Central Kitsap schools. Thanks to community support of capital projects measures, the district will make upgrades at all schools. New reception areas will prevent unwanted visitors from entering. Electronic entry and monitoring systems will better control access to school buildings. At PineCrest, the newly added doors go even further than providing more secure spaces. “We didn’t realize all these years that there was a low hum of noise,” Barga said. Now, they can be a little more spontaneous with a round of “Happy Birthday” or a little more student-to-student discussions. “It’s been much more conducive to learning,” she said. Work at PineCrest was just one of many projects that occurred this summer thanks to our community’s support. Thank you Central Kitsap!